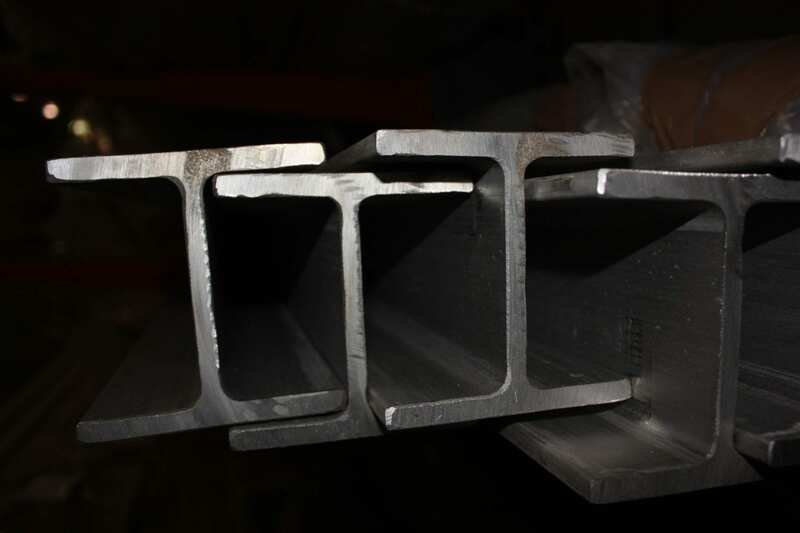 Stainless Steel Beams Supplier - 304 & 316 Duplex Beams | Stainless Shapes, Inc.
We have a wide selection of beams available to order, and are made to meet ASTM 276, ASTM A484, ASTM A479/A479M standards. Stainless steel beams are used in a variety of industries and applications including food service, chemical, pharmaceutical and more. 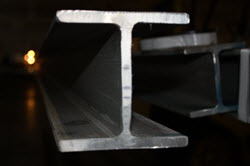 Stainless steel beams can be extruded, hot rolled or laser fused. The following benefits and features make stainless steel channel a great choice for a wide range of industries and applications. Stainless steel beams are designed in a specific way to achieve the shape they have. The way the beams are designed are by welding flat pieces of metal atop the strong supportive center. The center is called the web, because it keeps the two flat pieces, the flange together. This allows both mobility and stability, especially in moving strain. Flange: The top and flat bottom pieces of steel that receive the brunt of the force. The flanges are flattened and dissipate pressure equally. The two pieces run parallel to each other and in the case of I-Beams, are winged. Stainless steel beams are named after their most prominent aspect of the ‘I’ Shape. The I-beam is the universal and most identified model and because of that, the other beams are named comparatively to that bar. I Beam– The most common beam in our inventory. The I-beams center web can only be rolled as much as a mill’s equipment can handle (5/8″). The I-Beam is lighter in weight which is why it is used so often. The I-Beam is also a solid piece of metal throughout. It is rolled and manufactured from one part. Can be hot-rolled or laser fused. H Beam – The H-Beam is stronger than the I-beam, but it requires much more effort to produce in the process. Instead of being rolled together as one piece, an H-Beam is three pieces individually created and welded together. This allows each portion to be much stronger because you’re using the milling equipment three times to reinforce material as opposed to using the equipment once to make one item. Overall, the H-Beam is much heavier than the I-beam and can take much more force and pressure. ;W Beam – Otherwise known as the ‘Wide-Flange’ beam. The W-beam has wide flanges instead of tapered flanges which help with dispersing weight. The wide flange also means that the same material shares the same thickness. S Beam – Otherwise known as the ‘American Standard Beams.’ These are roughly the same thing as I-beams. This standard is because I-beam is an internationally debated beam with varying dimensions in different countries. Buying the S beam means that you are buying ‘The American Standard’ I-beam, as opposed to a foreign I-Beam standard. When it comes to our stainless steel beams, our mission has always been to supply the top materials with the most honest service in the stainless steel industry. Being family owned for over a decade and having over 25 years of experience only proves the point more that we are the best choice in the industry. Contact us today!